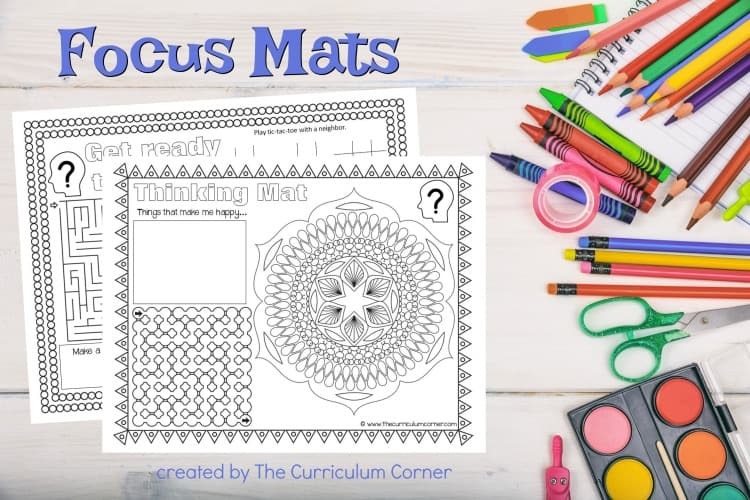 These free focus mats have been created to help you get your students ready for standardized testing or other stressful days in your classroom. These free focus mats are another tool you can add to your prepping for standardized testing collection. Our goal when creating these focus mats was to provide a free resource for teachers to use when prepping for testing. These might also be used for a morning entry task when you have a busy morning ahead of you. No matter how we as teachers feel about standardized testing, we know that it is currently just a fact of life almost all of us have to face. Since it’s a part of school we can’t avoid, we are working to find tools to ease a little of the stress related to the process. This specific resource has been created to help your students have a calming and relaxing entry into school as they prep for testing. We are providing you with six mats that you can copy and share with your students. You might choose to create a stack of each so students can choose the page they find the most appealing. 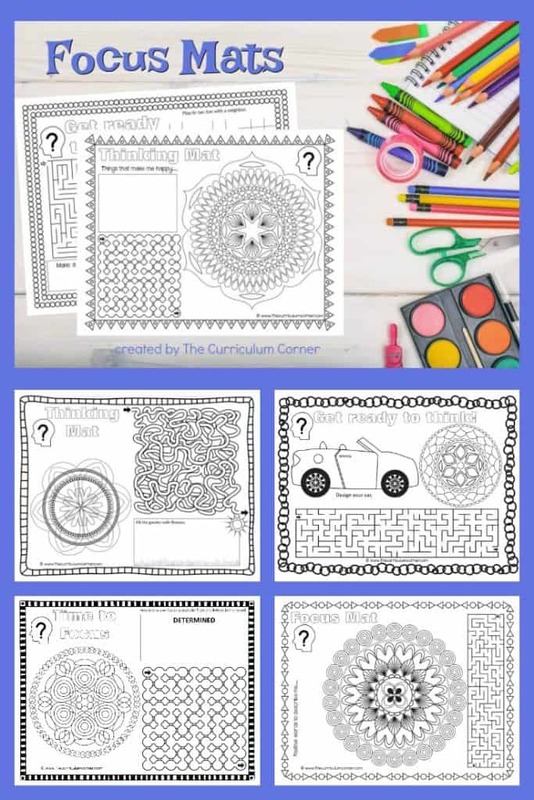 The pages contain a variety of images for coloring such as frames and mandalas. There are also mazes and a few other open-ended questions. Our thought in creating these is we wanted something simple for students to work on that would be relaxing. The process of coloring the designs contained on the mats and creating patterns can be a calming process. Of course, for students who might be overwhelmed by the designs, a blank piece of paper might be a good option. Some students might prefer to simply draw or doodle instead of having a preprinted page. To complete these mats, we suggest students have access to colored pencils or fine tipped markers.